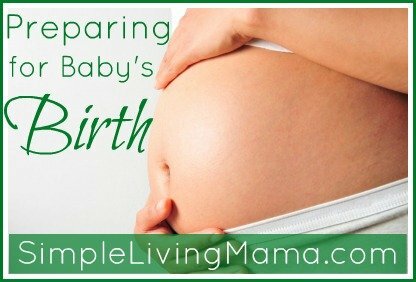 Welcome to the final post of our Preparing for Baby’s Birth series! We have talked about preparing freezer meals, packing your hospital bag, packing baby’s diaper bag for the hospital, and preparing older siblings for baby’s arrival. Today we are going to talk about what I think are the must-have baby items. My nursing pillow was invaluable. We used it every time my daughter nursed up until she got more mobile. Obviously you need diapering essentials. I stick with disposable wipes just because they are easy. For the first couple of months we use disposable diapers only and then switch to a combo of cloth and disposable diapers. For the newborn stage, I buy a couple of packs of size 1 diapers because I have big babies. We actually had to go out and buy a couple of small packs of newborn diapers for Sis because she was a bit smaller than Bug, but bigger babies quickly go into size 1’s. It’s also not a good idea to buy a lot of disposable diapers right off of the bat because you do not know which brands your child may be sensitive to. You need some clothing for your little bundle. I typically start off with several gowns and sleep and plays. We don’t dress our babies up too much in the beginning. They are so much more comfortable in simple clothing. Once again, because I have big babies I skip the newborn size and go straight to 0-3 months. Those itty-bitty clothes get grown out of quickly, too! I also like to buy baby mitts, socks, and a few hats for the early days. Now, I could have gone without this my last time around, but if you plan to bottle feed you obviously need bottles. You need a pump if you want to bottle feed your baby breast milk. If you are formula feeding, don’t stock up beforehand. You do not know which kind your baby will tolerate well. We are co-sleepers, but not everyone likes to go that route. 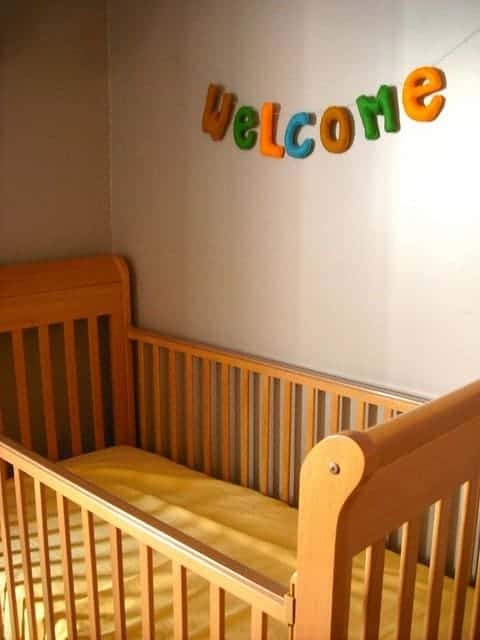 Pack-N-Plays typically come with a nice bassinet you can use beside your bed for the first few months and they are multi-purpose because your baby can then play in it when he gets older. If you do not plan to bed share, you will need a safe crib for baby to sleep. I love wearing my babies. We start out with the Moby because it is comfortable and perfect for little babies. I’m thinking of getting an Ergo for when this little guy gets a little older. We used a bouncer the last time around and I loved being able to put my daughter there for a little bit while I cleaned or showered. She really liked sleeping there, too. Keep the burp cloths on hand. My son never spit-up, but I had to use burp cloths constantly with my daughter. You need bathing supplies for your little one. I did use a baby tub with my oldest, but just used a mesh baby bather with my daughter and I liked that much better. You will want to pick out some nice baby wash and lotion, too! I bought a Safety First kit and have used it with both of my kids. It came with the nasal bulb, thermometer, baby nail clippers, medicine dropper, comb, and brush. And of course you’ll want blankets. You’ll want to wrap baby when it’s cold and use the blankets on the floor for baby to play on. You can also use baby blankets as a cover-up when nursing. We can’t forget the car seat. We start out with an infant carrier and once that starts getting too heavy we move the baby to a convertible car seat. One of my favorite things to do is buy a lot of the bigger ticket items at our local consignment sale. I’m just waiting until the end of this month to stock up on the few things I need for the new baby. It’s a great way to save money and keep barely used products out of the landfill. What are your must have baby items? I bought a Fisher Price Rock and Play Sleeper with my fourth and it was worth every. single. penny. It was wonderful to have her right beside my bed so I could pull her in to nurse and check that she was breathing about a million times an hour (you know how new mamas can be!). And I could reach over and rock it and most of the time she would to right back to sleep without me picking her up at all and now she is my best sleeper. Another plus was that the way it is designed very much mimmicks being held and a newborn feels so cozy in it. My baby girl was in it until she sat up around 4-5 months. Can’t wait for January to use it again! I have heard nothing but good things about those. I’m hoping I can find one at our local consignment sale that is coming up!